What is this? 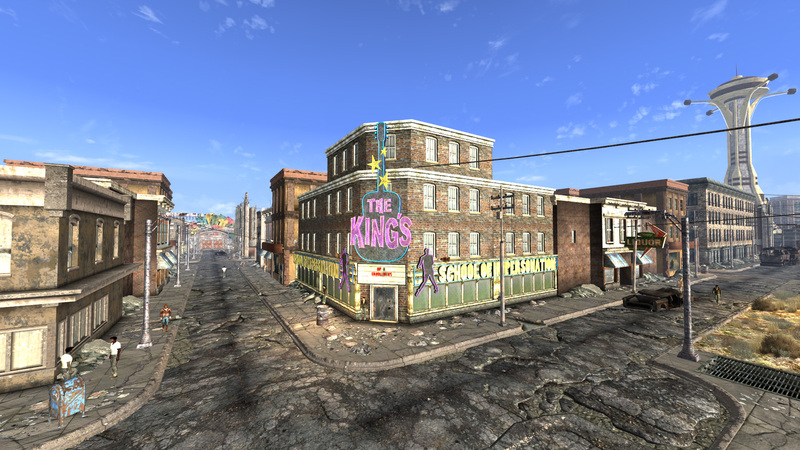 Is it a comprehensive open new vegas mod? Will it include the Strip? Whatever you're working on, it looks dope! It is New Vegas Uncut, it includes all of Moburma's uncut mods (minus the in game intro) bug fixed and optimized, unreleased uncut mods by several authors including myself, Uncut Wasteland and Sewers by sandbox6, If it wasn't for Betsy Remastered by MrLexx, Primm reputation restored by Machienzo, uncut keys, and I'm currently unifying the worldspaces of Boulder City, Aerotech Office Park, Crimson Caravan, North Vegas Square, West Side, Vault 3/Zap's Neon Signs, and Camp McCarran. This will be the 1.0 release of the mod. Future additions will include a restored/expanded fort, some other smaller quest related things that were cut, cut notes and terminal entries, restored Dam Battle, and full Post End Game content restoration. Later we will try and restore other cut areas and quests perhaps. Oh my jebus that sounds too amazing to be true. I will be waiting anxiously for this mythical mod! I'm hoping to release next month. It will be amazing!